As an entrepreneur, investor, and motivational speaker, Justin Cobb knows that one of the most important things is continuous learning. This doesn’t just apply to you as a leader, but to the environment you provide for your team as well. Continually educating your team and motivating them to do better is one of the best things you can do to ensure their success. There are people in the world who are solely motivated by money in their career. However, these people are rare. The majority of people also require other things to push them forward. Overcoming challenges, meeting targets, working as part of a team, and of course continual learning. These are some of the common things that make a job into more than just a 9-to-5. Continued training and education for your team gives them a sense of long-term value. It also makes them feel more secure in their position. No-one spends time and money training people who they are planning to let go. On top of this, the very act of group training will improve the social relationships in your company, and allow time for networking and cross-communication between departments or similar roles. The opportunity for employees to take in new information and then share and discuss that information, and ask questions, is invaluable. One goal of this continued training is to foster a growth mindset in the people who work with you. A growth mindset is the proven idea that people can get smarter and more effective through hard work, effective strategy, and focused help from their peers. This is opposed to the fixed mindset which says that our level of intelligence or skill is determined at birth. Research shows that if you have a growth mindset, you will be more likely to succeed. 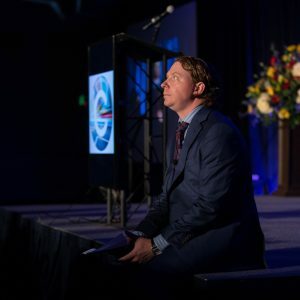 So Justin Cobb tends to keep a regular schedule of meetings and conferences for his employees, in order to maintain that idea, and make training an ongoing goal. In a couple of weeks, he’ll be running a meeting for his assistant managers in Atlanta. The full-day event will cover important topics such as branding, recruitment, work ethic, and the daily habits of a successful person. Following this, in October, in New Orleans, Justin Cobb will also be running a Rising Star event, recognizing the hard work and growth of people who have performed incredibly this year. These events are a regular fixture for Justin and offer a way to focus on recognition rather than simply education.